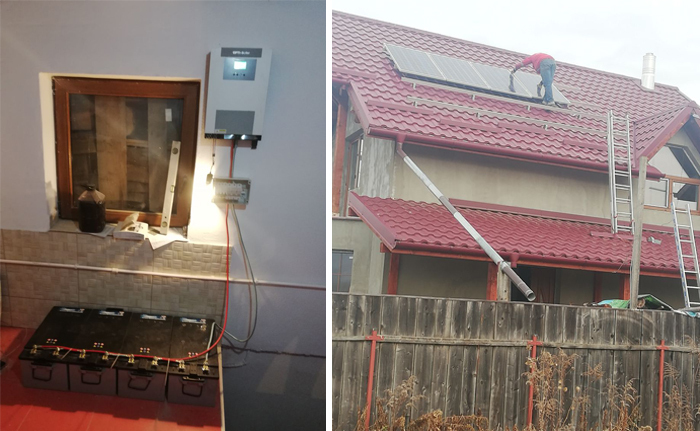 OPTI-Solar joyfully boost the remote area in Romania. 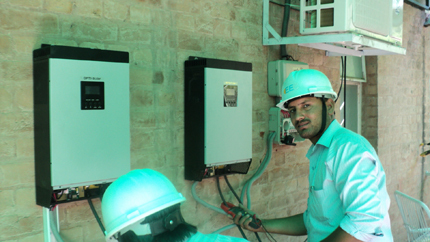 The solar generation help with the power solution. 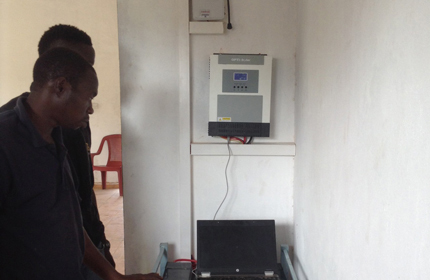 The user could receive the electricity without worrying about the lack of utility grid. The best place during the construction!! 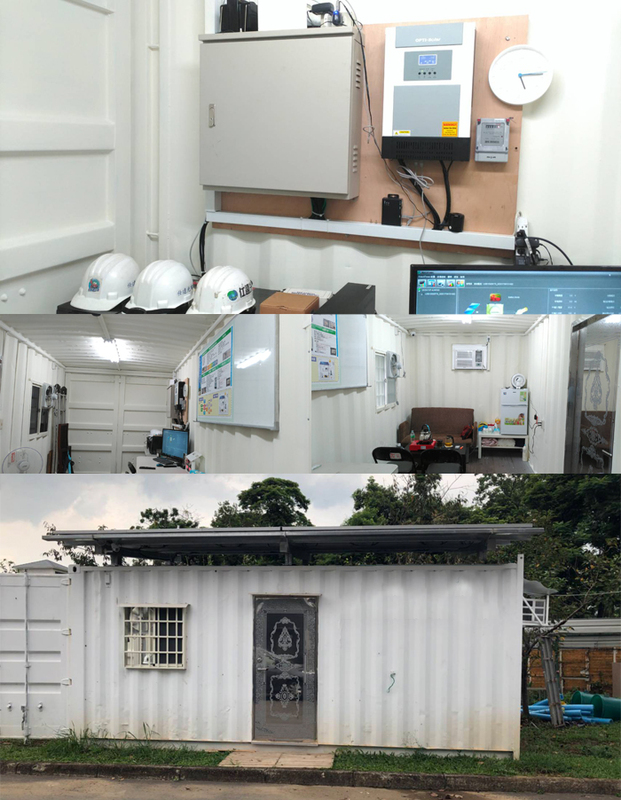 Moveable container built-in the solar system benefits the workers during the hot season. 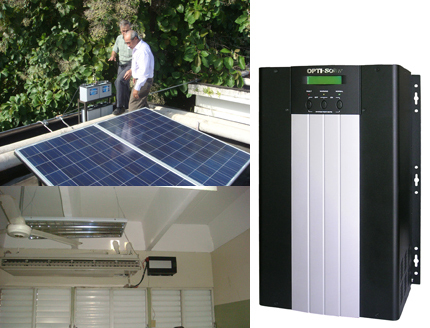 Simply install the inverter to power the small air-conditioner & small fridge. 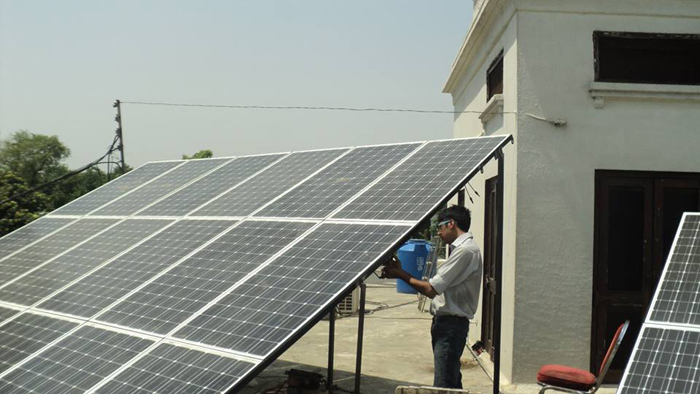 Enjoy the cool air and iced water with solar energy. 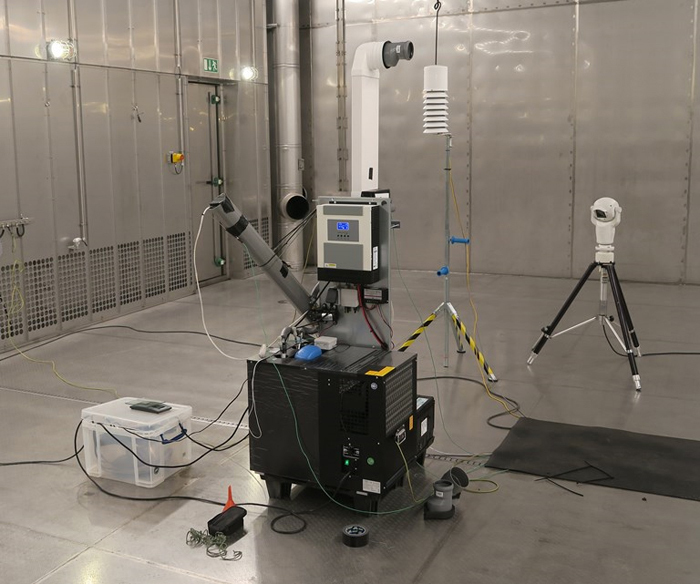 We highly appreciate Ap Verheggen (Dutch artist & the inventor of the application) & the related engineers integrate our inverter (SP2000 Efecto) into his research. The new technology, which pulls water from the dry air, will benefit the people who are facing the problem of water shortage. This greatest accomplishment is one of the top inventions in the world !! Thanks again to Ap Verheggen and his teammate. The solar system integrated with the garden-house park. 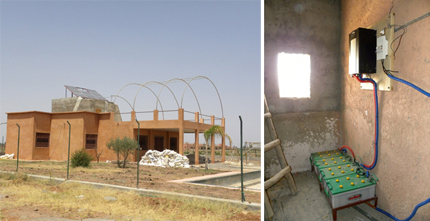 People enjoy the solar energy in the friendly green environment. 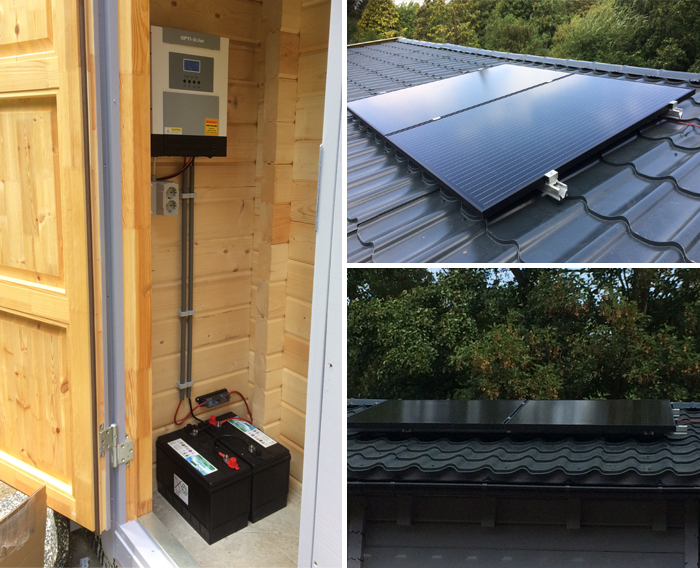 Installed equipment 2 x 280Wp (Vmp=31,7V) full black solar panel. 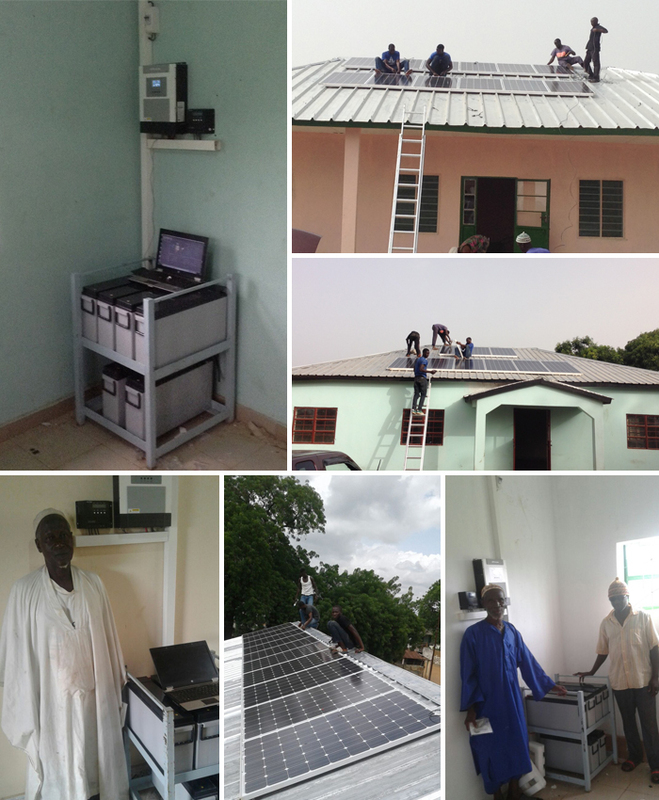 Thanks to Surveillance Solutions (Ghana), our SP10000 Premium successfully helps with the solar power generation. the People hardly obtain the electricity from the National Grid. SP Premium Series are a universal power supply tool for houses. 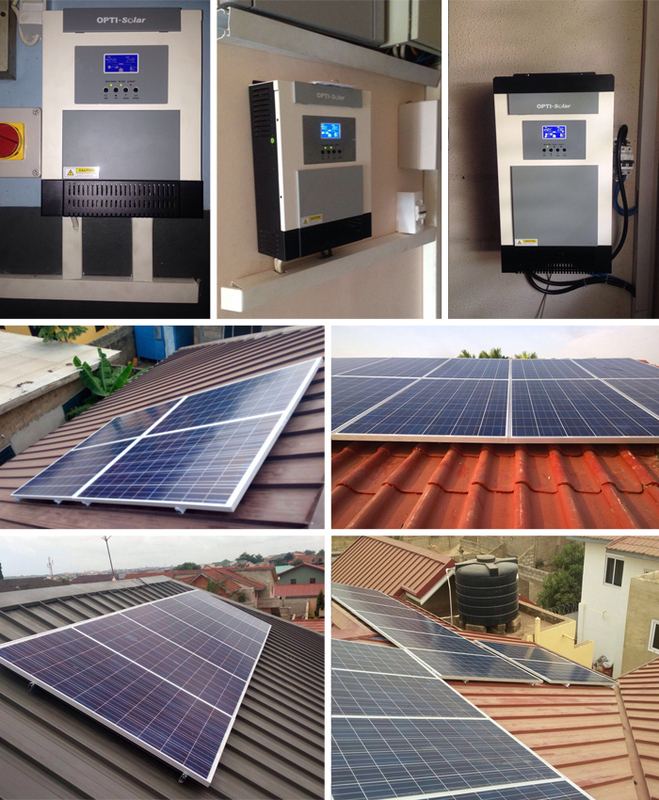 It utilizes solar power at day time feeding it to your appliances like illumination lamps, TV, stereo and PC equipment, saving the power to the batteries for the night time usage, and selling the power surplus unused by the connected appliances to the grid. 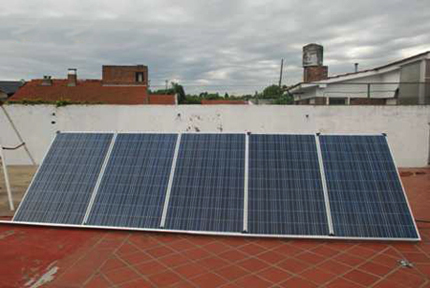 There are different ways to fix your solar array to harvest energy from the sun. At OPTI-Solar, mounting kits are available for roof, ground or even pole, to offer the best angle for the best efficiency. 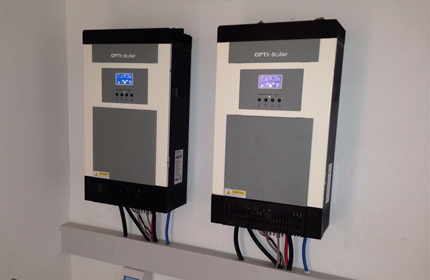 OPTI-Solar SP Efecto inverters has the ability to have a huge battery bank and be able to recharge those batteries in a reasonable time with the help of a powerful internal AC charger. 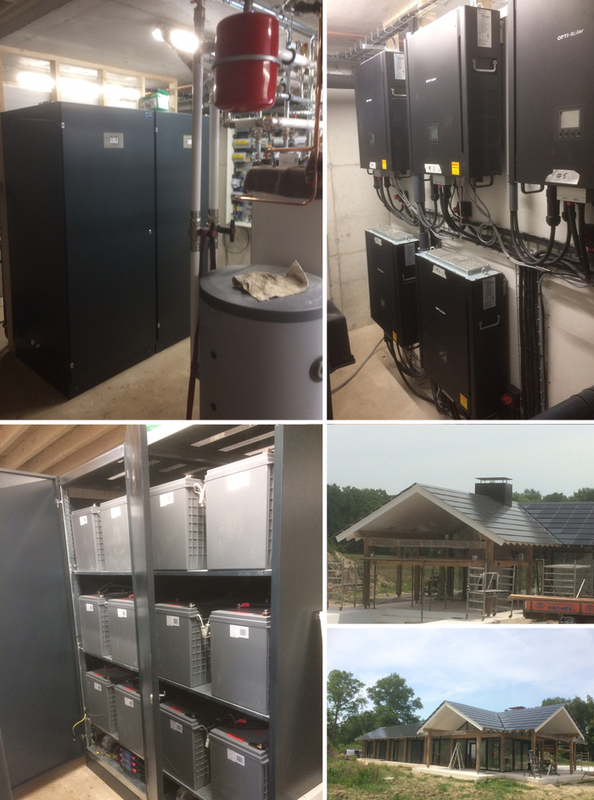 The hybrid SP Premium equipment allows full control of the system from a simple computer through our Solar Power program. First step is to configure the type of system you installed and for what application. 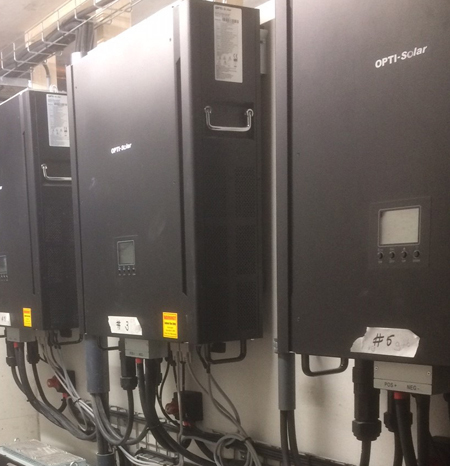 Parallel installation is available for our SP Brilliant Series up to 4 units. 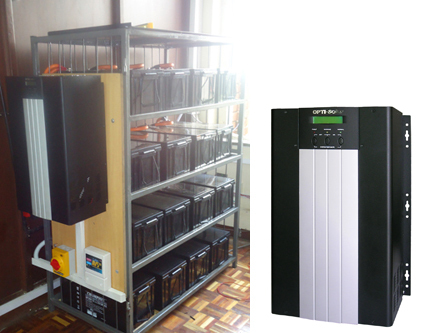 It allows users to increase the supported maximum output power to 16kW/20kVA. 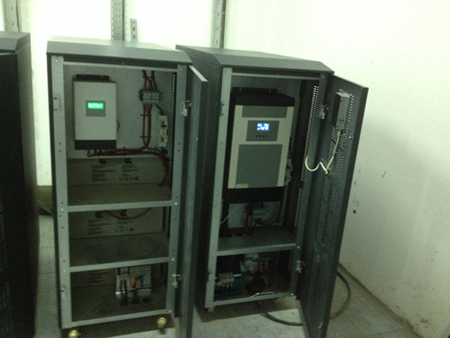 This system is ideal to support a huge load with a long back-up time thanks to its 24 2V2200AH batteries. 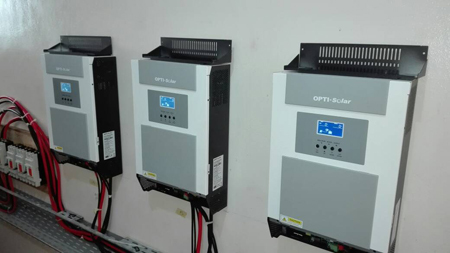 One of the basic features that OPTI-Solar SP inverters boast is the ability to have a huge battery bank, and be able to recharge those batteries in a reasonable time with the help of a powerful internal AC charger. 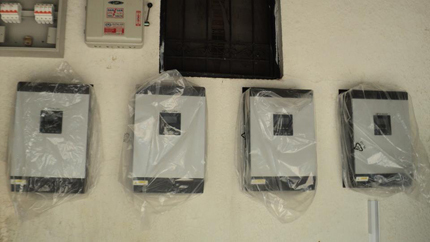 Customers in Africa, Asia, Middle East, and Latin America choose SP inverters for this outstanding capability. 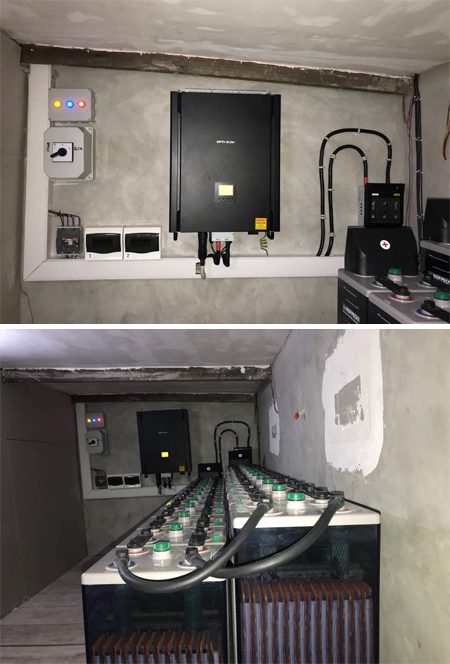 Adding a set of PV panels and setting up the SP inverters to DC-mode, an autonomous mode for having solar power as the main source of electricity, makes SP inverter a small power plant good for powering a country-side house. Such power plant can be totally off-grid, or have power grid as an alternative, secondary power source. 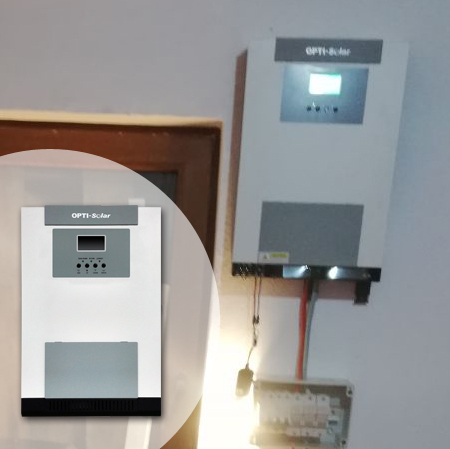 OPTI-Solar SP inverter can be considered as an environment friendly solar power generator that uses solar power to feed electricity to your appliances and charge the batteries at the same time, and uses the power stored in the batteries to give you electricity at night time. 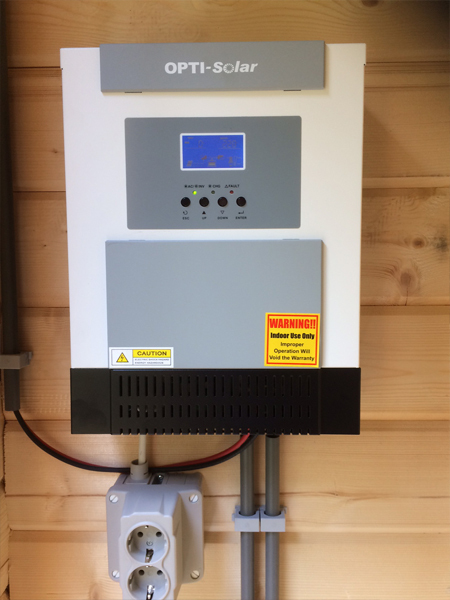 This allows SP inverters to virtually disconnect you from the grid, should you have a very unstable power grid in your area, or should you simply like to save on the electricity bills. 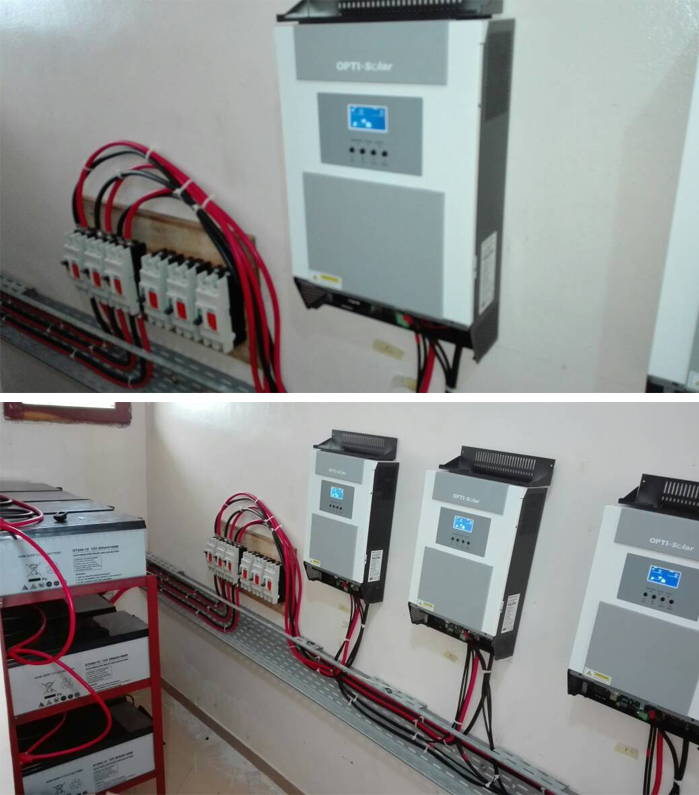 SP is able to feed power to electronics and computer equipment, home appliances and even higher power devices like split air-conditioner systems.